Ivan Zarate bags @runitupreno VIII Mini Main Event Day 1b chip lead; Spraggy & Kevin Martin advance. On Saturday, Day 1b of the Run It Up Reno VIII Event #1: $440 Mini Main Event played out inside the Peppermill Casino. The second of two starting flights attracted 158 runners, which along with Day 1a’s 127 entrants brought the total field up to 285 entries. That means the top 46 players with a min-cash being worth $720. The eventual winner, who will be crowned on Sunday, will walk away with a $26,065 first-place prize. The player from 1b best positioned to make a run at it is Ivan Zarate, who after 12 levels led the surviving 38 players with a stack of 185,000. That is well behind Day 1a chip leader Alan Mastic, who bagged 310,000. Zarate, who hails from Arkansas, has $69,748 in lifetime tournament earnings including a career-high $7,779 for winning the 2015 $330 Holiday Hangover Tournament at Mohegan Sun. Two years ago he also finished sixth in the Run It Up Reno IV Main Event for $5,525. Others to make it through Day 1b with big stacks were Michael Trivett (184,000), Kyle Keating (181,500), Jovanny Jayme (166,500), and Stanley Wang (148,500), who round out the top five. 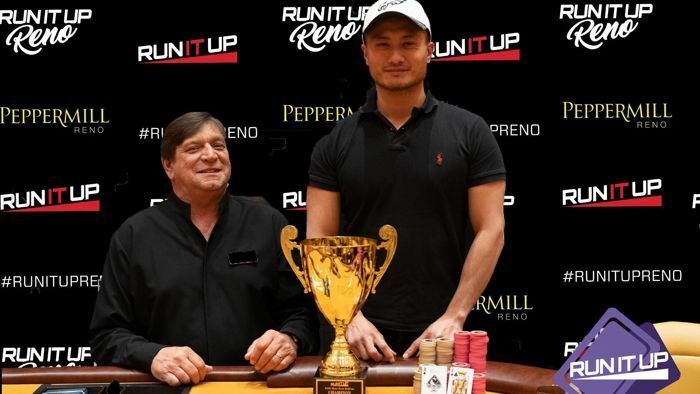 They were joined by Ben “Spraggy” Spragg (126,500), Patrick Tardif (117,000), former RIU Reno Main Event champ DJ Fenton (106,500), Albert Ng (85,00), and Kevin Martin (49,500). Of course, not everyone was so lucky. Among those to fire and fall on Saturday were Jason Somerville, Brad Owen, Jimmy Cappucci, Fintan Hand, Holly Brightly, Abraham Meyers, Sung Song, Joe Brandenburg, Vincent Newland, Jamie Kerstetter, Arlie Shaban, and Paul Sampson. The PokerNews Live Reporting Team is focused on five events at the RIU Reno VIII, but there are plenty of side events throughout including Friday night’s Event #2: $125 Short Deck Hold’em. That tournament attracted 113 entries and created a $10,961 prize pool. Among those to get a piece of it by finishing in the top 18 but fall short of the final table were Andy Camou (12th - $220), Eric Goldstein (15th - $180), Patrick Tardif (16th - $180), and Jon Wallace (18th - $180). 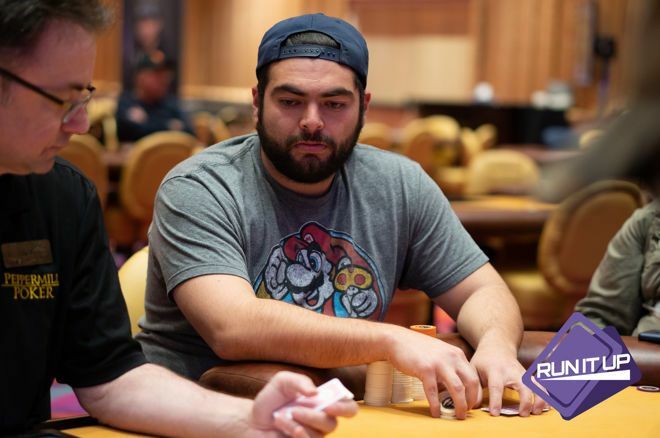 At the final table were some familiar faces such as 2012 World Series of Poker runner-up Jesse Sylvia, RIU Reno stalwart Vincent Newland, and poker pro Adam Owen. However, it was Sherman Mah of Mahanoy City, Pennsylvania who emerged victorious to win the trophy and $3,153 first-place prize. Be sure to follow the conclusion of the RIU Reno VIII $440 Mini Main Event on Sunday. Not only will it be live streamed on RunItUp.TV, but PokerNews will be offering live updates right up until a winner is crowned. Click here to be check out our RIU Reno portal.